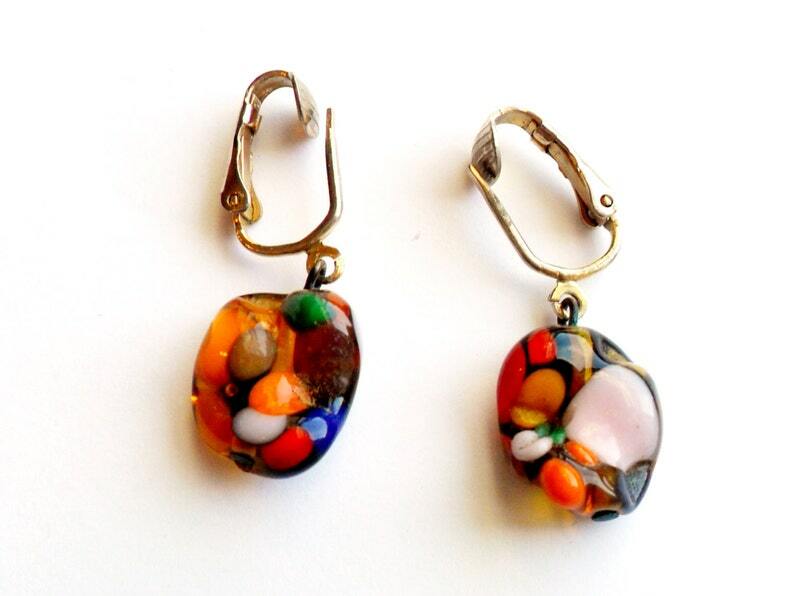 Beautiful vintage clip on earrings with one of a kind, handmade art glass bead dangles. Each bead starts with a amber or honey colored base, with added spots of various other colors of glass. Colors include green, orange, pink, whit, yellow, red, and blue. The beads are attached to simple gold tone clip back findings. Earrings measure 1 1/4 inches from top of clip to bottom of bead.